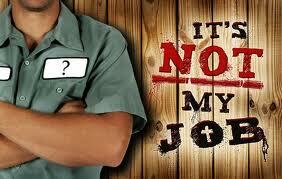 Many job descriptions have a sentence added at the end of specified tasks and responsibilities. It is: “…to perform other tasks and responsibilities as assigned”. This boilerplate language covers assigned projects and added tasks that can be added legally to your job description. Not only will you learn new skills and grow in your present position, it can lead to a higher level and/or a promotion. Employees who question “It’s not in my job description” are sometimes negated for shirking the additional responsibilities or opportunity for advancement this language provides. It’s better for your career advancement to use the opportunity of new avenues to explore to give more depth and breadth to your present position or perhaps to advance to the next level. Some companies no longer maintain job descriptions. Proponents for discarding job descriptions altogether say they are not complete – there are always responsibilities added on that are not part of the original one when hired. They contend that descriptions are usually obsolete within 6 months of hiring as jobs constantly change; by the time they are updated, they need to be changed again. It is time consuming to write them and don’t aid anyone in their daily work. However, many companies still use them as they tie into the job market and salary data . Position or job descriptions do serve distinct, important factors in job hiring and career development. For hiring, they are the vehicle through which salary levels and pay are determined. For career development, they aid in job progressions and new skills. Salary surveys from most companies are examined and analyzed to compete with market data for the same positions. Variables used are the number of organizations participating in the survey, the number of incumbents in each position, and the level of detail provided in the job description matching process. How important are job descriptions? While laws does not require them, job descriptions are critical in supporting practically every employment action, such as hiring, compensation, promotion, discipline, and termination. aiding employers with compliance of many and growing list of employment laws and regulations. If there is an employee/employer dispute, the job description may play a decisive part. upholding the Americans with Disabilities Act (ADA), many state workers’ compensation laws, and the Occupational Safety and Health Act (OSHA) for essential job requirements and physical demands/work environment. A well written, thorough job description can help you make the critical decisions necessary to comply with these challenges. ensuring compliance with federal laws such as the Fair Labor Standards Act (FLSA) which impact almost every employee in the United States. ensuring compliance with other laws, such as federal discrimination statutes which prohibit discrimination against various protected classes (EEO). Some states have enacted discrimination laws that protect classes not covered by federal legislation. protecting the employer to support why one applicant is more qualified than another or why you pay one employee more than another. It also can protect why they terminate an employee for poor performance. Since job duties and technology can out date a job description, it is crucial to upgrade job descriptions timely to keep them accurate and current. Performance reviews are based upon completion of job responsibilities and tasks outlined. Promotions can be based on superior performance and/or additional responsibilities or tasks undertaken again as outlined in the job description. If you travel to Italy, try to extend the trip southerly to visit Sicily, pronounced (See-chel-ia) in Italian. 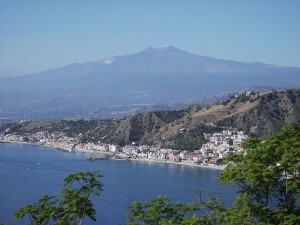 Sicily is located at the ‘tip of the boot’ of Italy and is the largest island in the Mediterranean Sea, with several much smaller islands surrounding it that are also considered part of it. If you do decide to visit Sicily you will fly into Catania Airport, the busiest airport on the island (and one of the busiest in all of Italy). As you descend from the plane into the airport, the majestic Mount Etna is glorioiusly displayed on the east coast against the blue waters of the Mediterranean. It is a breathtaking site that you never tire of no matter how many times you arrive there. 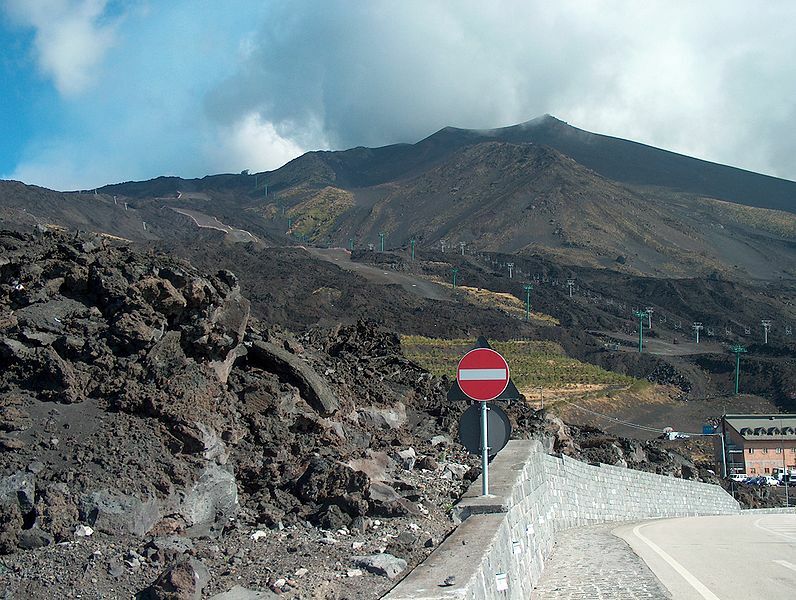 Mount Etna is almost two miles high. Mt. Etna, the highest mountain in Italy south of the Alps, is one of the most active volcanoes in the world and is in an almost constant state of activity and the second largest active volcano in Europe. 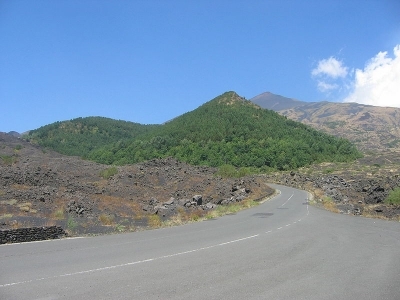 Etna covers an area of 460 sq mi and is the largest of the three active volcanoes in Italy, being about two and a half times the height of the next largest, Mount Vesuvius. Only Mount Teide in Tenerife surpasses it in the whole of the European region. Located at the foot of the active volcano, Catania is the second-largest city in Sicily. There is a cable car to get to the top, but we drove up the winding roads as did the bikers and motorbikers. As we ascended, you could see the fertile volcanic soils that support extensive agriculture, with vineyards and orchards spread across the lower slopes of the mountain. From the busyness of Catania, as we drove up, up, and up, we could see the end of plant life where it had once flourished and spots of new reshooting by different plants that grow in ash. It became almost surreal as black mountains of still smouldering ash was on either side of us, all the while viewing the top of the volcano, with spouts of white smoke erupting from it. The feeling is one of isolation; so different from the bustling, busy city we left behind. 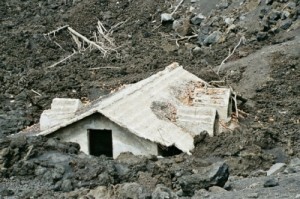 There were ruins of a house that was destroyed in an eruption. The higher we went up, it was somewhat unsettling to realize that the volcano is still active. And there have been eruptions, some of them devastating. There was an an eruption back in 1928 which led to the first and only destruction of a population center since the 1669 eruption. A village was obliterated in just two days, with the lava destroying nearly every building. Only a church and a few surrounding buildings survived. The year we drove up to Mt. 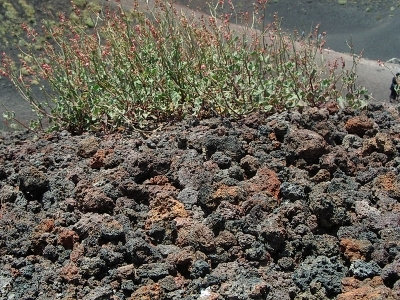 Etna was in 2003. Just before we visited there, that same year, a much larger eruption threw up a huge column of ash that could easily be seen from space and fell as far away as Libya. 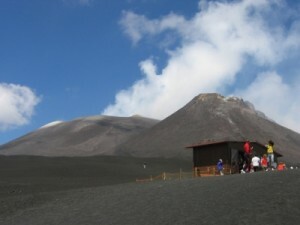 Many houses on the flanks of the volcano experienced structural damage. The eruption also completely destroyed the tourist station Piano Provenzana. Another eruption happened in May 2008 immediately to the east of Etna’s summit craters, was accompanied by a swarm of more than 200 earthquakes and significant ground deformation in the summit area. 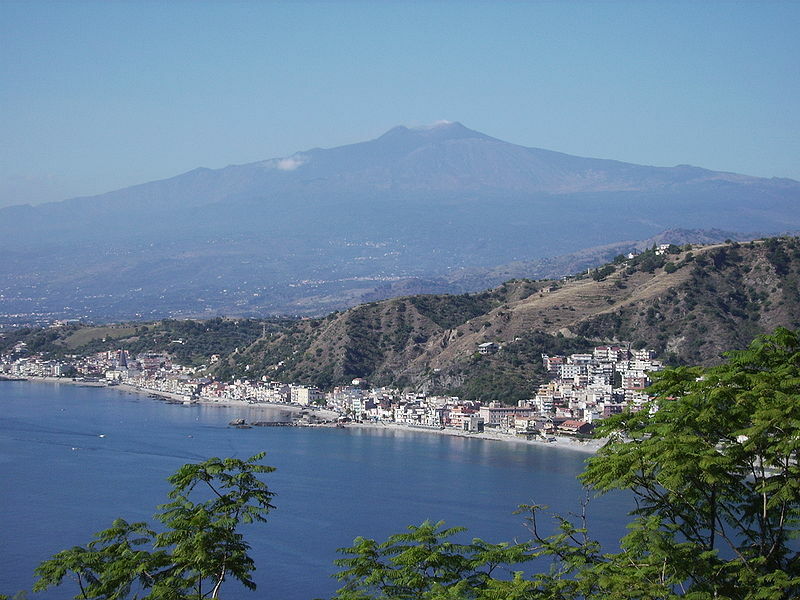 Are Sicilians warned before an eruption? Bill McGuire, director of the Benfield Hazard Research Centre at University College London, says seismic monitoring is standard. “There are lots of different methods of monitoring volcanos now but the two ways that unequivocally tell us that a volcano’s getting ready for eruption are still the old ones – earthquake activity and ground deformation,” he says. Before a volcano erupts, magma (molten rock) rises towards the surface, breaking rock en route. As more pushes up, the rocks around it vibrate. 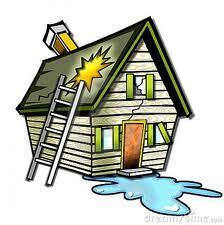 This results in earthquakes that can sometimes cause damage to buildings. Any sudden change in quake activity around an active volcano will, hopefully, give scientists enough time to sound warnings. David Rothery, a researcher in the volcano dynamics group at the Open University, uses another method of detecting potential eruptions. Many volcanos have craters at the summit but it is usually too dangerous to put instruments there. He peers at craters from space using satellites that measure infrared radiation, and looks for any sudden changes in heat activity. He says that, depending on the volcano, scientists will get anything from several months to a few days notice of an eruption. In theory, then, eruptions shouldn’t cause casualties. But this always depends on the evacuation plans for danger areas. Before Vesuvius erupts again, for example, 600,000 people will have to be evacuated, possibly at only a couple of weeks’ notice. Congress has its hands full keeping the Obama administration in check, and in most Americans’ opinion, leaders could use some help — from the church. The key to confronting the President’s agenda may be as simple as encouraging more pastors to speak out. So said 61% of Americans surveyed in FRC’s latest poll — the results of which we announced yesterday at the National Religious Broadcasters Convention (NRB) in Nashville. With Christianity under attack as never before, the country is looking to its spiritual leaders to engage in the fight. As our First Freedom, religious liberty serves as the foundation for all other freedoms — which will all be at risk if it crumbles. If pastors would just speak to the issues from a redemptive heart, most people agree that we would see this country turn around. After conception, only a few hundred of the 250,000,000 (that’s 250 million!) healthy sperm reach the egg. It takes about two hours to make the entire journey to the egg; however, some sperm are Olympic swimmers and can reach the egg in a half an hour. If no egg is available to fertilize, the sperm swim around patiently waiting to bump into one. Because there is no chemical or physical attraction of the sperm for the egg, the sperm literally must bump into the egg. The area of the egg containing the mother’s genetic contribution (chromosomes) and the area of the sperm containing dad’s genetic contribution combine to begin a brand- new, unique individual. About 24 hours after fertilization, the first division of the newly formed cell takes place. The dividing ball of cells continues to travel down the fallopian tube toward the uterus where it will implant and grow. Each of us has had an ‘Olympic swimmer’ who obviously won the ‘gold’ because you and I, our parents, friends, loved ones, children, everyone we know here on earth each had an award-winning “Olympic swimmer’ in their lives. And that new unique individual is YOU. This is only a brief summary of the many conditions that must be present in order for there to be a pregnancy. You are literally One in a Million – make that One in 250,000,000! God has given us life, plans and a future. In embracing Him, through His Communicator, the Holy Spirit, we can accomplish much in our lives. It is our decision, through the free will that God has bestowed upon us, to prosper in the hopes and future that God envisions for us. Ask the Holy Spirit to guide you in developing the natural talents that you have. 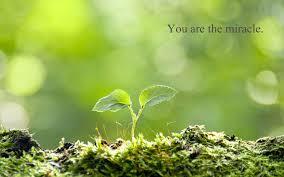 As you find your niche in life, your self-esteem will increase and you will find fulfillment. You are special, you are loved, you are precious to our Creator. I come in contact with persons who sometimes have really low self-esteem. They weren’t born with it, so somewhere, they developed a poor image of who they are. Maybe it is self-inflicted; maybe it was forced on them; maybe it was the result of many disappointments. If they aren’t blessed to have had someone build up their confidence or appreciate the talents that God has given to each of us individually, I hope they are reading this and realize that we are ALL special and we ALL have worth. In God’s Book, he tells us ‘Before I formed you in the womb I knew you, and before you were born I consecrated you…’ (Jeremiah 1:5). Before we are born, God knows of our strengths and weaknesses; He knows what we are capable of and what our limitations are. We have to trust in God that He knows and will guide us in His Will through His Communicator, the Holy Spirit, who gives us wisdom and knowledge, if we only ask for it. Alzheimer’s is tough. It’s losing a person before you lose them forever. It can be a swift loss or a gradual one. Ours was a gradual one; our Mom started to forget where she put things or events that happened or were suppose to happen. She got anxious, then depressed and one day stopped functioning. Shortly afterwards, she stopped talking altogether. We were a family of seven, and although 4 out of her 5 children were girls; our bachelor brother became her caretaker. The females in the family were all married, had jobs and families of their own. Our brother lived in the house with Mom and Dad and although he worked, too, he provided her daily care which included hiring a caregiver to come in during the day. Our mom was always freshly bathed and powdered, attired in clean clothes with a quiet, calm presence. Our father wanted her at home; he had promised her she would never go to a nursing home. Once, after a surgery, just after her decline, she had stayed briefly in a nursing facility and visibly and emotionally suffered from that experience. Throughout the 10 years of her illness, she was silent, calm and and good natured. My brother always set a place for her at the table for family meals and she was always part of our family get-togethers, smiling at times at all of us. On Dad’s 80th birthday, we had a party for him at a restaurant and he insisted that she be there at his side. She was silent but smiled when she recognized someone. She was always at his side. Just once, about 9 months before she died, as I was preparing her a meal one night, she said clearly, “I’m going to eat dinner now”. What a nice gift that was. Every now and then, she would look at our Dad and brother and say their name or a full sentence. They were her mainstays and those were nice gifts. Reading the above, it sounds like a sad scenario, but it truly was not. Our family was a support system for each other. We girls would stop by with groceries or other pick-ups and fill in when my brother was not there. The older grandchildren would Nana-sit if my brother had to be away overnight. When he walked In, he would be greeted with a big smile from Mom; he was her only male child and also her first-born. He always made her laugh and comfortable. I would join my brother to take Mom along a trail in the woods in October because she so loved the fall colors. Other outings were country rides in the summer or just a pretty park in the spring. She would smile and seem to enjoy it ~ silently. We all tried our best to keep life as normal as we could. That’s what I remember the most about the 10 years my mother was cared for at home. My Dad also took care of her the best way he knew how, and the care-giving he provided did take its toll on him. He also received the wide smiles whenever he walked into a room where she was. He would talk to her just as he always had. She had always told us in earlier years that she had to outlive him because he could never get along alone or without her. . She did just that when he passed away the year after his 80th party. She became noticeably unhappy and distraught and she followed him just 5 months later. She had done her job and outlived him as she planned to. Somewhere in her mind, she felt the need to do just that. The afternoon of the night my mother died, I was on my way from one appointment to another. I was going right by the hospital where she had been for a few days. I cancelled both appointments and stopped to see her. They had moved her to a single room. I asked the nurse at the nursing station how she was doing and the nurse told me she was ‘unresponsive’. When I walked into the room, my mother tried to sit up and smiled with her whole face. I hugged her awhile and went out to the nurse to order a TV for her. The nurse said it wouldn’t do any good – she was ‘unresponsive’. I asked the nurse to come to the room with me and she saw my mother repeat her welcome smile. The nurse was quite surprised. Mom never got the TV ordered for the next day, she died that night. She was 79. Although something unexplained and undefined has been taken away from Alzheimer patients, there is something within them besides not being be able to communicate. They try to….but stop in frustration. It is frustating at times for all involved. We all treated her as if she understood eveything, and kept her in a normal routine. She got attention, love and care. 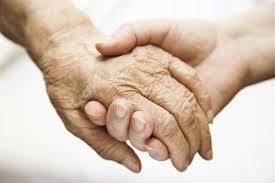 We were blessed with the caregiver who treated her like a Mom. Her behavior those last 10 years was a higher level than the few days she spent in the nursing home. I am not criticizing nursing homes; they are important for those who have no families or someone to care for them or have different symptoms. I can see my mother smiling down on that one. I’m sure she felt it all along. Many of us like to sing. Some of us sing well, and …. well, some of us sing like Lucy Riccardo on I Love Lucy. That’s me. Some of us hum and sing when we are nervous; my brother does that. Humming actually helps relax you as you breathe differently when you sing. And some of us only sing in the shower where the acoustics help us out. 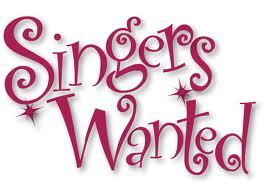 So, singing even helps you live longer, enhances your mental state and even helps keep wrinkles off your face. A study at the University of California has reported higher levels of immune system proteins upon singing/choral participation. Does God like us to sing to Him? What does the Bible say? Singing is also a delight to our Lord, who mentions throughout His Book about singing praises and thanks to Him. He doesn’t care about acoustics or if we sound like Lucy; He takes pleasure in our devotion of singing. 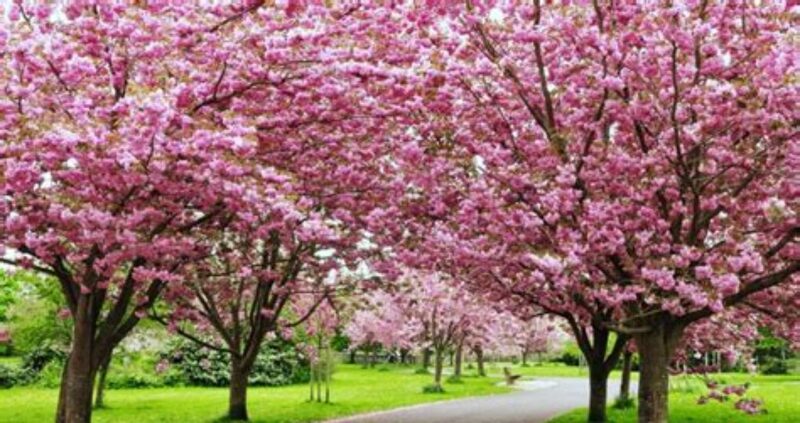 Zephaniah :17 tells us – “…He will take great delight in you, he will quiet you with his love, he will rejoice over you with singing. Lift up your heart to the Lord by singing songs in gratitude and praise. It will improve your life and your health and delight the Lord. SING ALONG – IT’S GOOD FOR YOU! AND IT MAY MAKE GOD SMILE…….